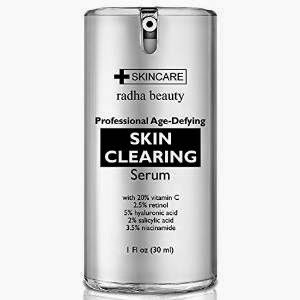 This new Radha Beauty Skin Clearing, Anti Aging Serum, is definitely a beauty must-have, thanks to its powerful formula has a great anti wrinkle effect and is ideal for acne prone and blemished skin, while being gentle on the skin, since is made with all natural ingredients and is not tested on animals. Why Is This Serum So Effective? Exclusive formula with natural and organic ingredients such as Vitamin C Serum 20%, Retinol 2.5%, Salicylic Acid 2%, Hyaluronic Acid, Rosehip and Lavender Oil. Safe for all skin types, even oily skin, and doesn't irritate or burns the skin. Free of fillers, fragrances, dyes or parabens. 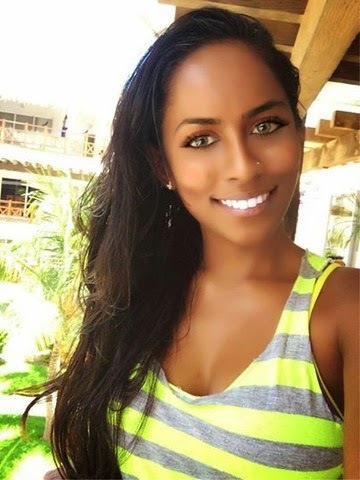 Former professional ballet dancer and model, Rebekah Letch, has always looked for the eco-friendly side of the beauty products she had used, which led her in 2014 to be the Co-Founder of Radha Beauty, to create a pure and natural oils line and a natural skincare line, manufactured in a State of the Art FDA Approved facility in the US.